Your post-click landing page is a virtual elevator pitch. It’s a one-page summary of your offer that provides visitors all they need to know to decide whether or not to convert. If it’s not relevant to the offer, it shouldn’t be included in your design. That means most of the information on your “About” page — like the story of how your company started — probably isn’t necessary. Your blog content isn’t either. Every statistically significant test showed that post-click landing pages without navigation converted more visitors than ones with navigation. In one case, removing navigation boosted conversion rates by nearly 30%. This one boosted the conversion rate by 100%! And while these tests focus on navigation links in the header of your post-click landing page, there should be no navigation links anywhere in your design. They shouldn’t be in your subheads, body copy, or even your footer. It’s been mentioned multiple times but it’s worth repeating: Navigation links kill conversion rates. Without a call-to-action, no one will be able to convert on your page; without benefit-oriented copy, they won’t know why they should. But without an alluring headline, your visitors won’t stick around long enough to see any of the other elements on your post-click landing page. You may not realize it now, but the subheading above this text contains a powerfully persuasive phrase. It’s likely been used in more headlines than any other string of words since the dawn of modern advertising — and for a reason: It works. The one thing it was missing: price. Because users wanted to know how much the gold plan cost, and because it wasn’t listed on the page like the other plans were, they had to click through to find out. Hence the boost in clicks. Be careful when creating this kind of headline, though. Relying on curiosity alone to get your content read is dangerous. If the curiosity gap is too large, visitors may not be tempted to read the rest of your post-click landing page at all. A better example is the “Swipe this to grow your company.” The element of curiosity is there, and claiming whatever “this” is will help readers grow their business. A universal truth about humans is that we’re all inherently lazy and greedy. Some say it’s evolutionarily embedded within us: We only exert effort when we have to as a way to conserve our energy for survival-related tasks. That means we want the most return for the least amount of work — always — which is why “quick and easy” headlines work so well. They position your offer as an effortless solution to prospects’ problems. The words “fastest” and “easiest” draw the reader in, as does the phrase “just 10 exhilarating and highly-productive hours.” Most people would jump at the chance to learn skills they can turn into a six-figure career in such a short amount of time. This can work for nearly any product or service. Ask yourself: What does my offer turn people into? Software can create agile marketers; courses can create master storytellers. Determine how your product or service transforms your visitors, and let them know in your headline. As the world advances at a frantic pace, we all have a need to keep up with the newest tools and knowledge to solve our problems. NEW DATA: Does Social Sharing Impact Organic Ranking & Cost Per Click? As is the case with quick & easy headlines and curiosity headlines, news headlines work best when combined with self-interest. Without a reason to click through, visitors won’t. Designing an effective call-to-action button is more complicated than you’d think. It takes more than simply throwing words on a shape that’s hyperlinked to your “thank you” page. Carefully, you need to pick the right copy, size, shape, location, and color. After spending hours on funnels and objectives, sequences and timings, it’s only natural we start thinking in terms of what our prospects must do to trigger the events we have planned. That’s why we talk about the call to action — we are asking our prospects to do something. The trouble is, that’s backward. Prospects want to know what they get, not what they have to do. Rather than calling our prospects to action, we should be giving them the payoff we’ve promised. We should be emphasizing what you will do for them, not what they must do to get it. If your button is too small, it won’t just be harder to notice; it’ll be harder to click too. Most people access the internet via mobile devices now, which means your button has to be a big enough target for your prospects’ fingerpad. If you make your button in the shape of a star, chances are visitors won’t know it’s a button. That’s because they have a preconceived idea of what a button looks like based on encounters in real life and online. With a traditional rectangular shape, and textual clues like “Add To Cart” in block lettering, the new button indicated its clickability. Other effects, like shadowing, can make a button more easily identifiable by creating a 3D appearance. Notice that there are no 3D effects used, like drop shadows or excessive shading. If buyer persona research indicates that your target audience is made up of veteran web users, this style button can work well too. Ultimately, the effects you add to the shape of your button will depend on who you expect to click it. The shape itself, however, should remain rectangular. Take a look at these 100 post-click landing page examples. You’ll find no round, square, or octagonal buttons. The reason comes back to Jakob Nielsen’s Law of the Web User Experience, which states something obvious but valuable to your page design: Internet users spend most of their time on other websites — not yours. That means they develop their expectations of how the web works on those other websites. So, if every other post-click landing page features a rectangular button, yours should too. Sacrificing usability for uniqueness (like in the RIPT Apparel example above) can get your page abandoned. In copywriting, it’s important to separate yourself from your competition. But when it comes to design and usability, deviating from the norm can confuse and frustrate visitors into leaving your post-click landing page. Usually, those recommending this “best practice” do so because they’ve read that people don’t like to scroll. But that’s not necessarily true. If you just rotely put the call-to-action above the fold, you may be making “the ask” before your potential customer sees the value in why they should act. Or, sometimes, before they even know what you’re asking. A long, ugly page with a call-to-action “buried” below the fold can outperform this so-called “best practice. That’s why, many times, you’ll see the call-to-action “buried” much further below the fold on sales pages. Before they can be convinced to hit the “buy” button, visitors to these pages need to be presented with far more persuasive information than they would on a page offering a free ebook. When deciding where to position yours, consider your offer: If it’s complicated or expensive, it may require more elements — like copy, testimonials, and media — to convert the visitor. And that will inherently push the CTA button lower. For instance, on longer post-click landing pages like this one, a CTA button doesn’t appear until the visitor scrolls through thousands of words of copy and countless testimonials. First, they noticed the photo of the surfers. Finally, they continued down the remainder of the page to consume text and subheaders until they reached the bottom. To accommodate the natural progression of the visitor, you need to understand how they read. That will be covered in the next chapter. But a closer look at this study reveals that the takeaway isn’t “red beats green in all cases.” Instead, it’s that the button which stands out more earns more attention. In this instance, red beats green because it better contrasts other page elements. Green, the color of the original CTA button, is already included on the page in several places: the logo, the image, and an icon at the bottom of the page. What it comes down to is this: People need to know where to click to convert. High-performing CTA buttons don’t attempt to subliminally convert prospects with color psychology. Green’s relation to “go” or “environment” and red’s “danger” connotation have little to do with their ability to convince people to click. Instead, it’s contrast and clarity that makes them so appealing to visitors. A red button screams “here I am” to the visitor upon arrival. In this case, a green button doesn’t. Writing for someone who doesn’t want to read isn’t easy. On your post-click landing page, that’s what you’ll need to do, since visitors are there strictly to evaluate your offer. They don’t want to pleasure read. What they want to know is if your ebook is worth downloading, your product is worth purchasing, or your webinar is worth attending — and they want to know quickly. Even early research indicates prospects decide in an instant whether they should read your copy. People “entered” the page through the “biggest splash of ink” — the dominant headline or image. Next, readers scanned down the page, looking to captions, bolded words, bulleted text, and short paragraphs. Lastly, they read regular, unformatted body copy. Shouldn’t be too small (D Bnonn Tennant suggests 16px since it’s what we’re used to reading in books). Should contrast the page it’s written on (dark font on a light page). Should be clear enough for visitors to discern between characters. 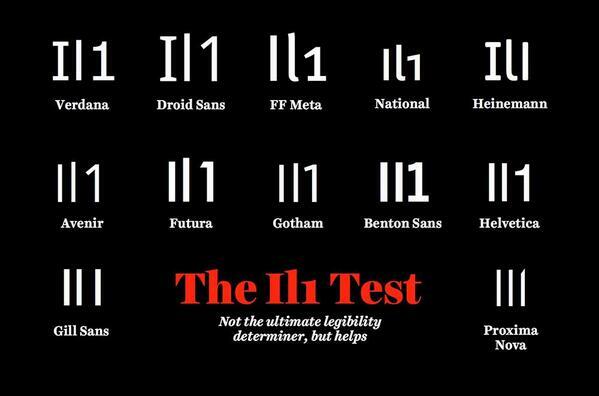 Try administering the Il1 test, using sans-serifs for body copy, and staying away from decorative fonts at small sizes. The result was an increase in “Add to cart” conversions by over 36%! Line length: The left margin is our eyes’ home base when reading. If a line of text is too long, it will test the endurance of our attention. If it’s too short, however, it will break our rhythm by forcing us to return back to the margin too often. A happy medium, experts say, is a line length of 50-75 characters. Layout: For years, humans have read with the help of a grid system. Before the internet, newspaper columns and book pages helped guide our eyes toward the next word, sentence, and line. A good post-click landing page designer will recreate that grid system on the web. Disregard it, studies have shown, and you’ll hurt the readability of your content. In this case, traditional works best. Stock phrases and unnecessary adverbs: “Fact of the matter is,” “that being said” — they’re just two examples of phrases that contribute to your word count without adding value. Cut them, along with unnecessary adverbs that could be substituted for something clearer and less verbose. For example, “Move quickly” becomes “dart.” “Absolutely perfect” becomes “perfect.” On your post-click landing page, where attention is low and time is valuable, it’s important to make one word do the work of two. Use small words. They’re not only easier for visitors to understand, but in addition, research has shown they’ll make you seem smarter. Remove jargon. 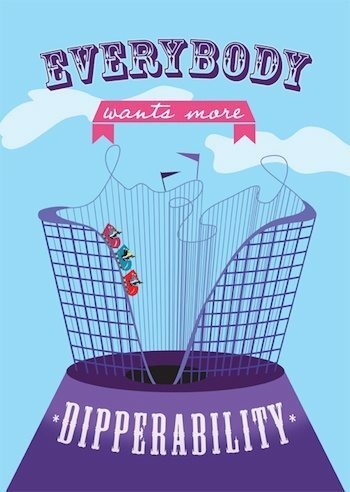 Made-up words like “dipperability” mean nothing to visitors. They don’t care about your offer’s features. Avoid confusing them with trade terms or your own language. Speak their language. A lawn mower’s “Platinum series 19 HP Briggs & Stratton Intek OVE engine” is meaningless until you explain that it extends the life of the product. Notice how every bullet point on this page presents a feature, then spells out its benefit clearly. Cut ambiguous content. Your product isn’t “premium” or “great.” It’s fast, or it’s durable. It doesn’t “improve marketing performance.” It “turns you into a master copywriter, capable of selling anything with the written word,” or even better: It teaches you all the skills you need to know to become an in-demand, six-figure copywriter. Being clear about what your offer can provide is crucial for comprehension. A study by Sheena Iyengar showed that when employees were told to imagine all the benefits of saving money, they were 20% more likely to open a retirement fund. They also committed to contributing 4% more to it regularly than those who were not instructed to consider the benefits of saving money. Where words fail to convey the value of an offer, visuals can excel. Studies have shown that it’s far easier for people to process images than text, which makes sense when you consider humans largely interpret the world around them without the help of words. On your post-click landing page, visuals like explainer videos can detail how your offer works, and images can help your visitor imagine how your product or service changes their world for the better. At the same time, visuals aren’t a one-size-fits-all solution. The type you choose to persuade your visitors depends on what you’re offering. Picking the perfect image to represent your offer is tough. You might wonder what you should choose: a shot of your product or a model using it? Should you include a photo of your ebook cover, or a page within the book itself? This type of image can work for nearly any product or service — from lawn care to watches, and even software. Learn more about creating epic hero shots here. This backpack has lots of pockets and angles and straps. Several product photos help people better understand it. If your offer similarly has many features that need to be highlighted in order to help visitors make better buying decisions, this type of media may be appropriate. If you do take product photos, put yourself in the mind of the visitor. What will they need to see to evaluate your offer fully? Remember: Developing great images for your product isn’t just about using the right camera or finding the right lighting. It’s about creating something informational that your visitors can actually use. The small bar graph helps people conceptualize exactly how much Five9 can improve call center effectiveness. If persuading your prospect to convert involves comparisons or the presentation of numbers, an infographic can be a powerful way to illustrate the data set. On post-click landing pages, icons are especially useful for the reasons presented before. First, people are able to process images more quickly and easily than text. A well-designed icon can make an idea or action more recognizable. Each complements the accompanying text well in a recognizable way that enhances comprehension. The “Effortless Invoicing” icon, for example, uses lines behind a slanted image of a document to communicate movement and indicate a speedy invoicing process. These images make prospects more comfortable with converting on your post-click landing page. They’re indicators that your website is safe to complete transactions on, or that you operate a legitimate business. However, which you choose to display will depend on the message you’re trying to communicate. More on how to pick the right trust indicators later in this chapter. The web is becoming increasingly video-centric as people express their preference for watching online content. One shocking statistic: American adults, on average, spend more time watching online video than they do working. And so, marketers are now investing heavily in video. A majority of 93% report using the medium for sales, communication, and some form of digital marketing. When your product is new or especially complicated, explainer videos can detail exactly how it improves your customers’ lives. These short, routinely animated clips often take visitors through a PAS scenario that introduces a problem, agitates it, then presents your offer as the solution. Crazy Egg’s founder, Neil Patel, generated an extra 21,000 a month with an explainer video that helped people better understand his tool. If there’s a barrier to comprehending your solution, this type of media is highly effective at helping your visitors overcome it. Learn more about creating them here. When a business is relatively unknown or when the success of a post-click landing page depends on the person behind the offer, an introductory video can establish the credibility needed to convert a visitor. In it, he describes his rise from a kid living in his parents’ basement to a 7-million-dollar business owner in just a few years. A nice suit, gold watch, and expensive accessories add to his authority (a principle you’ll learn about later in this chapter), helping him convince people he’s as successful as he claims. With a video introduction like this one, Sam goes from an unknown guy selling his services to a seemingly credible source of information. In particular, video testimonials like these add credibility to an offer by humanizing the reviewer. They help post-click landing page creators overcome a common design hurdle: making a testimonial, along with the person giving it, appear believable. There are some other ways to do that too, which you’ll learn a bit later in the chapter. Notice how it’s less about the client’s experience with the service provider — the way a testimonial would be — and more about the solution Cognizant provided, along with the process it took to deliver it. Nearly every type of post-click landing page features a form. And on all those post-click landing pages, the form is commonly the biggest source of friction. It’s where you ask your visitors for their personal information — from name to credit card number, and everything in between. It’s for that reason the post-click landing page form has been a highly examined design element by many conversion optimization teams. As such, there’s a lot of information on the internet about creating an effective one. What’s the best number of form fields? After the Great Field Culling Exercise, as it will come to be known in your office, you’ll want to make sure the forms that remain are so frictionless, users will barely notice they’re doing actual data entry. But, how much is too much? The exact answer is different for every business, but the process of getting there is the same. What stage of the funnel is this offer for? Awareness? Consideration? Decision? At the top of the funnel you’ll want to ask for email, phone number, and whatever else you’ll need to begin nurturing your prospects. Closer to the bottom of the funnel, you’ll want to ask for information that will help you better qualify them to ensure they’re a right fit for your business. Do I need more leads or higher quality leads? For businesses with an empty lead database, forms with fewer fields will result in more leads that the sales and marketing team can work to qualify. For teams that spend too much time sifting through a high volume of leads, more form fields can decrease the time it takes to follow up and qualify them. How valuable is my offer? The more useful it is to your prospects, the more they’ll be willing to submit in exchange for it. A tip sheet might only win you 4 fields of information, but an industry report filled with data-packed insights could result in 10 fields’ worth. Looking at most forms, you might not think much thought went into their design. But, because the form is where all interaction on your post-click landing page takes place, it has to be carefully created according to certain principles that make it easy to use. When you place the labels inside the text field as filler text, the label disappears when users input their text and they must remember it as they fill in the field. This especially causes an issue if users use the Tab key to move through a form. When they tab to the next field without looking, they will miss what information is required. Also, users are drawn to open text fields; they might mistake the filler text as a default answer and skip that form element. 4. Request prospect information in a logical order. Don’t ask for first name, then email address, then last name. Ask for first name, then last name, then email address. The “Country” form field is populated (good) and so is the birthdate — but with the current date (bad). This field is better left blank, since there’s no way of knowing what the birthday of the visitor is. It serves no purpose because, in all cases, visitors will have to change that input from the current day to their birthday. It doesn’t speed up the process of filling out the form. 9. Make sure error messages are clear and noticeable to users that either forget to complete a form, or submit incompatible information. Use red lettering as well as other attention-grabbing indicators, like more heavily weighted text and a red box around the field in which the mistake was made. You’ll also notice that this form, at the bottom, features two badges that let visitors know their personal information is safe when they submit. Throughout your post-click landing page, these “trust indicators” play a big part in proving that you have your prospects’ best interest at heart. No matter your conversion goal — whether it’s signups, downloads, sales, or anything else — to convince your visitors to claim your offer, you need to get them to trust you. With indicators like social proof, security badges, and more, it’s possible. Each indicator communicates something different, so it’s important to know when and where it’ll have the maximum impact on your post-click landing page. Touting your own products and services has never been an effective way to sell them. Nobody believes the owner of a company when he or she claims their solution is the best on the market. What they do believe, though, is when other people say an offer is the best, or the most affordable, or the tastiest. Research shows that product reviews are trusted 12x more than product descriptions from manufacturers — and for good reason: Customers have no incentive to mislead their peers about a product’s effectiveness. That’s why testimonials — reviews from delighted custbelomers — have the potential to boost the perceived value of an offer, even if the reviewer is unknown to the reader. A report from the Nielsen Norman Group indicates that 70% of people will trust a testimonial from someone they’ve never met. Feature testimonials from your most enthusiastic brand advocates. The more positive a review is, the more power it holds. Translated, this testimonial says, “You break even and then make a little on top of that when you advertise with this company.” Is that really “what you’re looking for in advertising”? The bare minimum? A review’s level of persuasiveness is also impacted by the person giving it. If that person is an expert in their field, known by the reader, or works for an established company, their opinion carries more weight. When evaluating the trustworthiness of a brand online, people look for indicators of familiarity. The more recognizable it is, the more they’ll trust it. Details are crucial to establishing trust. The more specific a review is, the more credible it is, and the more a visitor will trust the value of the offer behind it. What they all do well, though, is provide specificity as it relates to the reviewers. Full name, title, and company are all listed next to a headshot of each reviewer — which humanizes them — letting visitors know that these are real people. You can Google “Erin Renzas,” “Dennis Mink,” and “Tommy Griffith,” and likely find identifying information — like a LinkedIn page or personal website — associated with each. Are Julie, Sarah, and Dawn real people? Or are all three of these testimonials created by the business owner? Relevance and recognizability work together. When a testimonial is given by someone well-known, it carries more persuasive power. But, for maximum effectiveness, that person should be relevant to the offer and business. If they were instead given by professional athletes or celebrity chefs, they wouldn’t hold as much power. For a workout or diet program, an endorsement from an athlete or bodybuilder could sway the visitor. But, for a writing software, testimonials from well-known writers are more persuasive because the target audience is writers. Badges from trusted security companies like Norton or McAfee near your credit card field. From a young age, we’re taught to obey authority figures like doctors and police officers. And so, as we get accustomed to seeing these figures repeatedly in everyday life, our mind creates shortcuts for determining whether we should trust someone without question. Tai has enough money to purchase an expensive car. If he has seven bookshelves filled with 2,000 books, Tai must also possess a wealth of knowledge. Whether it’s true or not (he could’ve borrowed the Lamborghini from a friend, and he may have never read any of those books), we can’t know for sure. However, judging by his nearly 1,000,000 YouTube subscribers, most people accept his authority without question. When designing your post-click landing page, consider what you want to communicate to your prospects. Then, determine what titles, clothes, and trappings you possess that can convince a visitor you embody those qualities. Authority is assumed. Credibility is earned. He’s less recognizable than Dr. Oz, but a title underneath his name reveals why Cosgrove is in a position to give an authoritative review on Hyman’s diet program: He’s the CEO of the Cleveland Clinic, one of the most well-known medical institutions in the country. Optimized testimonials like these let visitors know that people outside of the offer’s creator also consider the “Eat Fat, Get Thin” diet to be effective. Numbers are almost always more persuasive than words. Statistical proof of ROI from real customers beats even the most positive testimonials, because the old adage really is true: Numbers don’t lie. Visitors view outlets like CBS, PBS, and ABC as credible sources of information. They assume that if you or your offer have been featured on any of them, you are credible by association. Think, for a second, about what happens when you see a long line outside a restaurant: You assume the food is good. A post-click landing page is like a puzzle. Having all the right pieces isn’t enough. Your elements need to come together to form a page that subtly guides your visitor toward conversion. Learn how to put them all together in the next chapter.